Standing desks are great for keeping you moving and your posture straight. But if you don’t have the option for an adjustable desk, they can also be tiring. 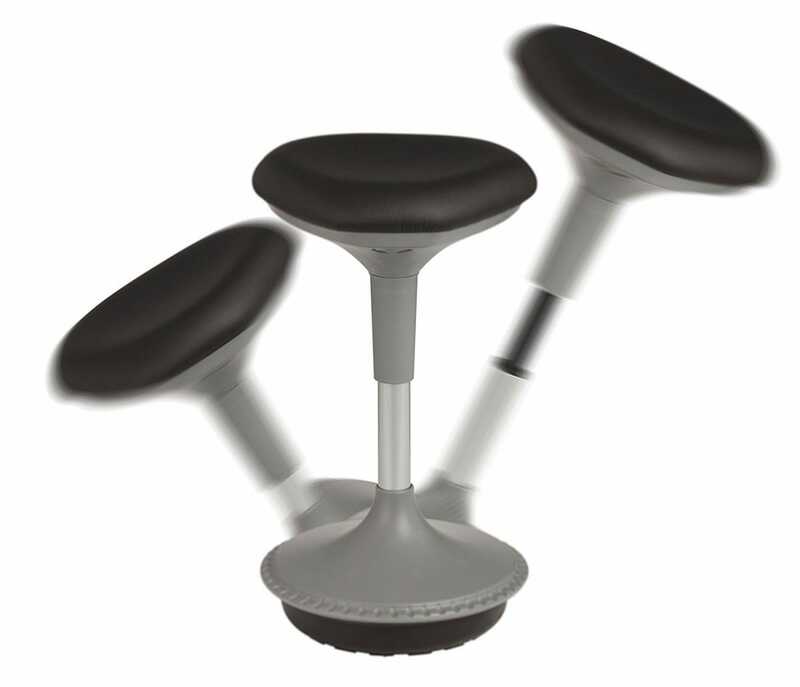 Take a load off with these stools. A stool design is ideal if you’ve switched to a standing desk, since its lack of back will force you to maintain your posture even while you’re sitting. 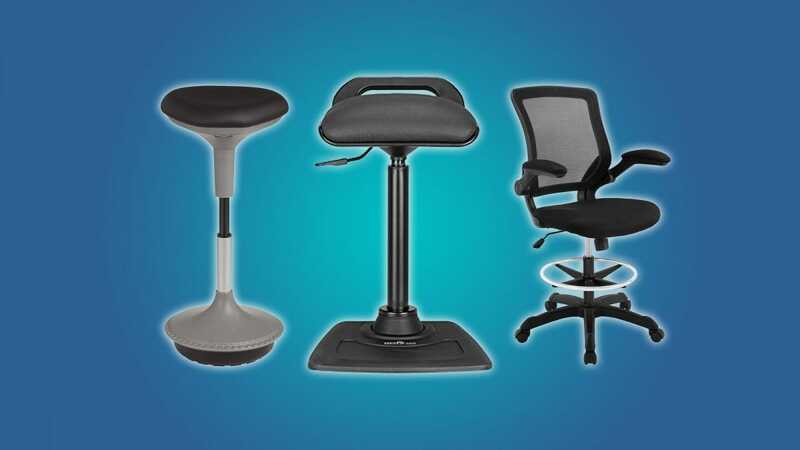 We’ve selected options for standard users, those who want a more fitness-focused option that keeps their feet moving while adding support, those who need a sitting option at the cheapest price possible, and those who need a full chair replacement for a standing desk with a fixed height. Check ’em out below. This simple but effective design from VariDesk covers all the basics that standing desk users will need, no matter how high their desk is set, or whether or not it can be moved manually or via motors. The stool’s base is weighted, so it’s not going to move around on either carpet or hard flooring, and the central column can be raised or lowered thanks to its built-in piston and control lever, just like a standard office chair. The seat has generous padding but foregoes a chair back, forcing you to maintain good posture even while taking a rest from standing. Note that the maximum weight limit is 250 pounds, so consider other options if you’re a standing desk fan on the stouter side. 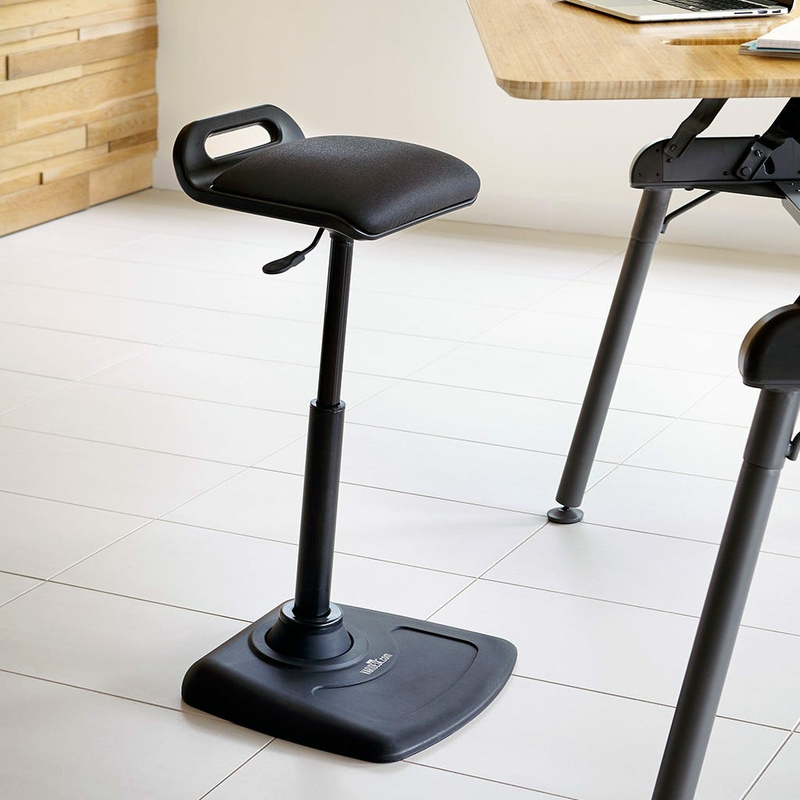 If you’re in shape enough to spend most of your day standing at your desk, and only want infrequent rests while still moving around, a “rocker” stool is what you’re looking for. This Learniture design is sort of like an exercise or medicine ball, with the added advantages of a much smaller space needed and adjustable for height. The rounded base keeps you moving your feet and legs even while you’re taking a load off, allowing more consistent posture and constant work on your core muscles. This design is an intermediate step between a conventional chair and full standing: don’t pick one up if you’re looking for something comfy to relax in. But if you want a design that allows you to keep burning a few calories at your desk while giving your legs a bit of a break, this is it. This Flash Furniture design is more of a conventional bar stool (you know, the kind you’d find in…well, a bar) than an ergonomically-focused office accouterment. 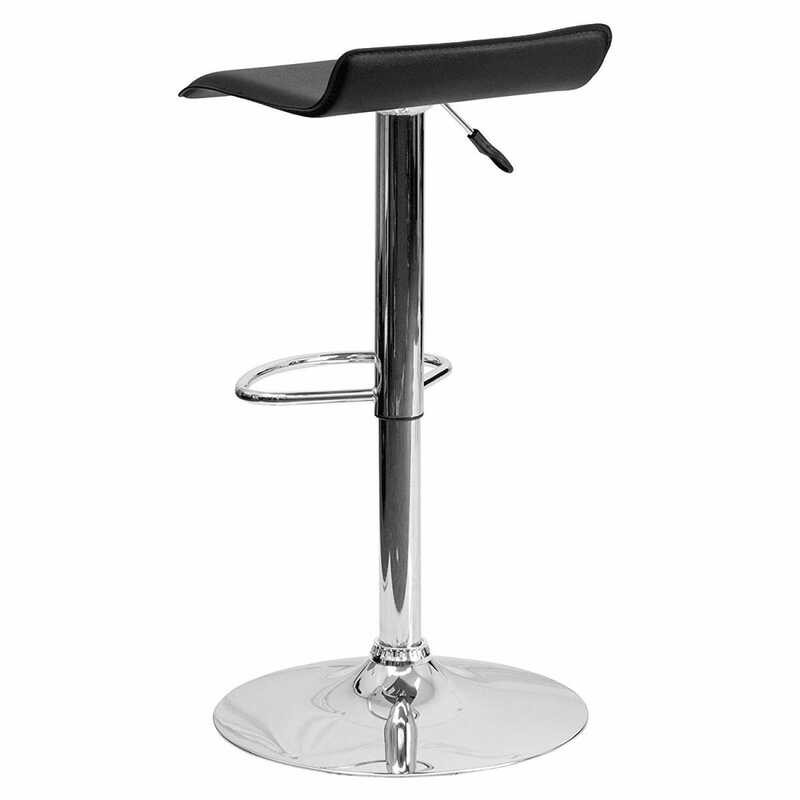 But with a solid construction, an adjustable height center column, a handy footrest, and best of all, a delivered price under forty bucks, it’s an excellent choice if you’re looking for an easy stool solution on the cheap. This Flash Furniture option is available in a variety of colors and styles at various prices, all well under $100 and featuring a swivel design that allows for 360 degrees of motion. 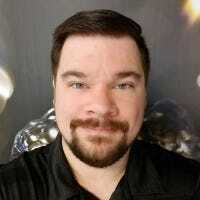 The chrome-style base is non-negotiable, unfortunately, and this design is notably harder to move around than some of the others on this list. Most of these picks assume you have the option of moving the surface of your standing desk down to a sitting level on occasion. But if you went for an inexpensive desk that’s fixed at standing height, a regular chair won’t do and a regular stool probably won’t cut it. If you need a more comfy seat with full lumbar support that raise to hold you at “standing” height, this Modway design is ideal. It doesn’t have the premium design you want if you’ll be sitting in it for an entire workday, but as a periodic relief for your feet and legs, it’s ideal. In addition to a permanent footrest, it includes office chair-style wheel casters for easy movement and arm rests, allowing the user to keep going at a standing desk until the job’s finished. Height can be adjusted with a standard air column, and the price is more than reasonable. The Veer “Drafting Stool” is also offered in four different colors to match your home or office decor. There’s nothing quite like plugging in a single cable to turn your portable laptop into a full blown workstation. Here are the docking stations to do just that.